Callie Lipkin is an award-winning commercial and editorial photographer based in Chicago. An experienced photographer and busy mom, Callie initially had her sights on a career in engineering but later changed to photography. She can thank her time in China studying art during college for that transition. Callie has garnered numerous awards for her amazing work, including 1st place from Altpick, and has shot for high-profile clients such as Comcast, Corona, Sara Lee, and Whirlpool. This week, Callie talks to atlas about how she got her start in photography and what inspired her to start her striking Dad Time project. Callie Lipkin: I studied art abroad in China the summer after graduating high school. The experience brought things into focus for me and made everything very real. I decided quickly after that to become a photojournalist. I gave myself a year and if I didn’t like it after that I was going to move on. Needless to say I was hooked. I studied photography in the art department at the University of Minnesota. Simultaneously, I was working as a photojournalist at the college newspaper there and I had a good number of internships during undergrad at various newspapers around the country. That was where I got my training. The shift to commercial work took almost a decade and was a slow and steady process of learning how to navigate that world a little at a time. 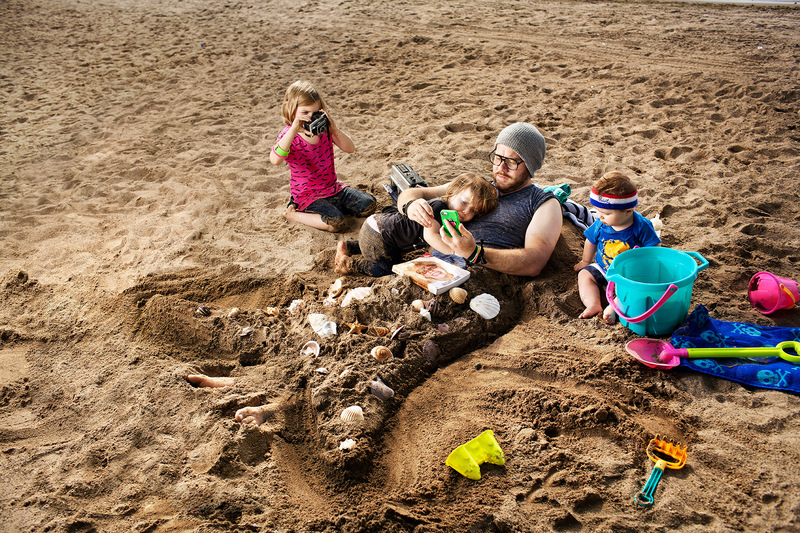 Your “Dad Time” series has been an ongoing project focusing on fathers and their children. Can you tell us a bit more about this unique project? What inspired you to do a project on fathers? The Dad Time project is partly inspired by my husband and his role as primary caregiver for our two young sons aged 3 and 4. 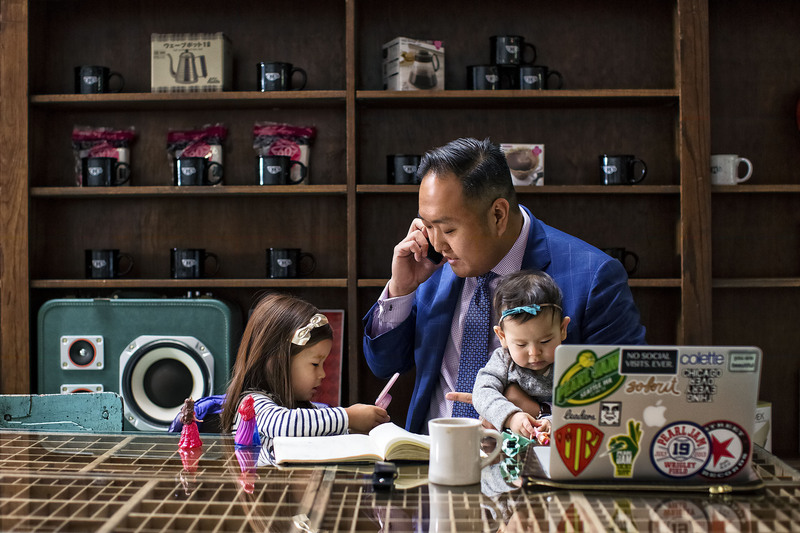 It is also a self-portrait of parenting from the viewpoint of the sole working parent — a role that used to be more dad territory, but that is shifting as more women opt to work and more men choose to take a break from their own careers and stay at home to raise their young children. 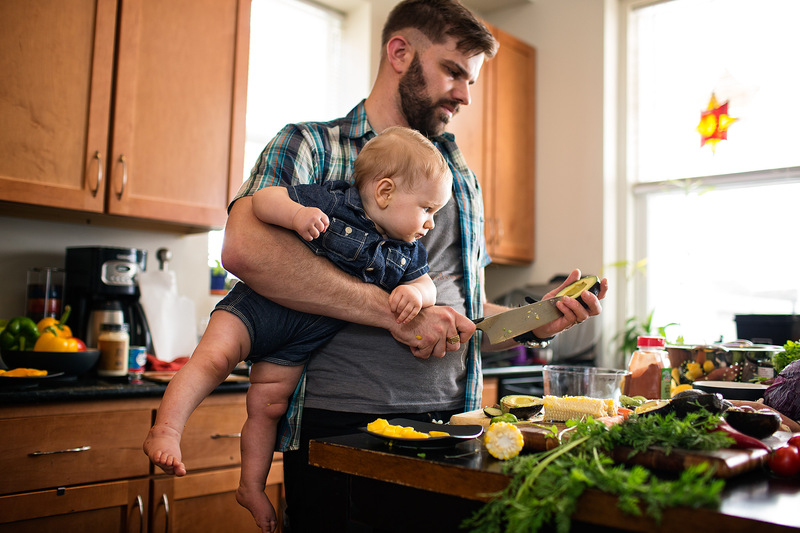 The images within the Dad Time series are glimpses into an everyday dad world, ranging from more formal portraiture to strictly reportage to more conceptually based. I am always inspired by my surroundings, and there is a whole lot of media about parenting out there that is mostly aimed at women and mothers. Moms have a lot of pressure to conform to a specific ideology. How long are you breast feeding? Did you have a natural birth? 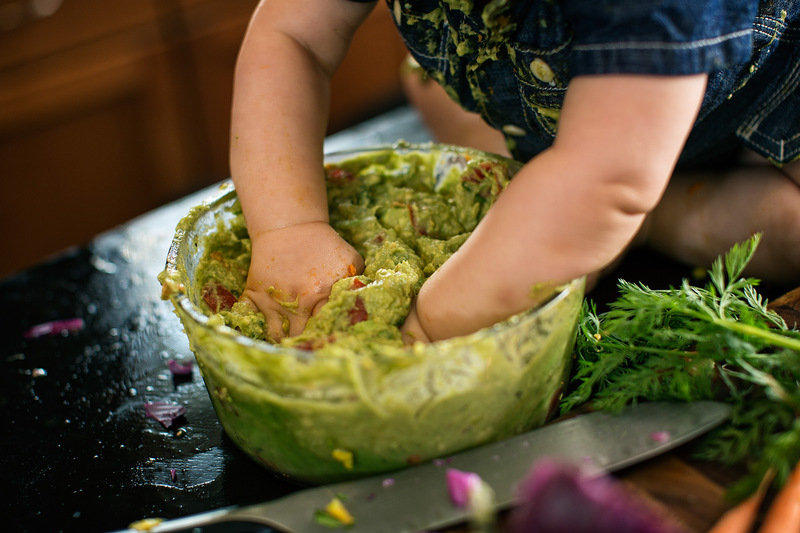 Are you co-sleeping, attachment parenting, making your own organic baby food? Do you plan on home schooling? Are you going to quit your job? 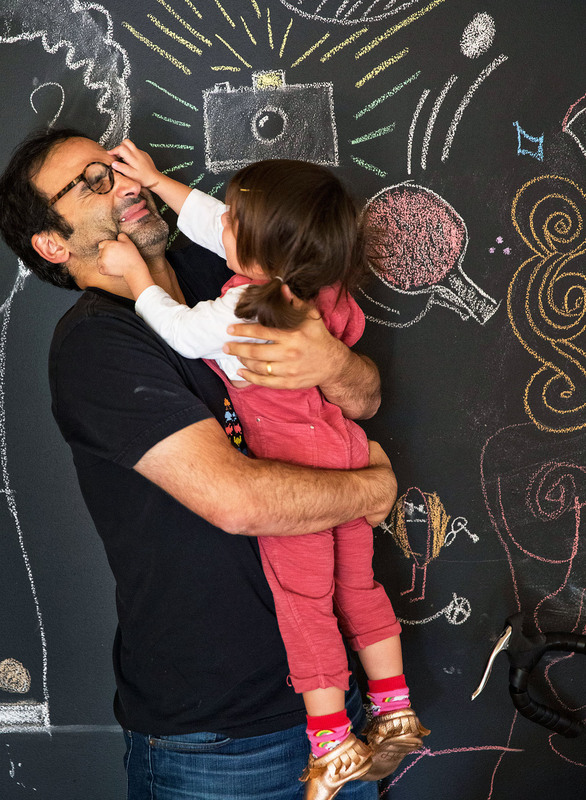 No one asks these questions of dads — which makes them an ideal subject for a wide range of parenting moments and concepts. You are now taking “Dad Time” on the road. What do you want viewers to take away from this project? Are you planning to turn this series into a book? The decision to travel to a new city for the Dad Time project was partly to give ourselves a change of scenery in the winter months and partly to expand it to being less a Chicago-focused project. At the moment, I do not have any book plans. I am very focused on the process. You shoot mostly in color. Do you ever shoot in black & white? Which do you prefer and why? Like many photographers, I started shooting in black and white. It was cheaper, we could develop our own film, and it is a good starting point as a beginner to look primarily at light and shadow. I started shooting in color for newspapers in 1995 or so. Although I love the look of black and white, I have always had to shoot color for my journalistic and commercial projects and it really fits with my personality well. I enjoy the added challenge of resolving color palettes and also the realness it can bring to an image. Also, I use light differently in color — my work would not look the same if it were black and white. Dad Time is taking up all my personal project time at the moment, although we have at least one day in the life project planned this spring that will probably not involve dads. It is good to be able to step away from something and see it in a new light every now and then. I think the keys to success in this industry are stamina, confidence, and commitment. Never have one foot out the door or a back-up plan. Get married to photography and your business. Do not play the field. Failure is your friend. Find good mentors. Be nice to everyone. And don’t give up. Thanks for being our featured photographer of the week, Callie! For more information about Callie, visit her website. All images © Callie Lipkin.